Question: What does Australian Semillon have to do with BC Hospitality Foundation? Answer: Dish N’ Dazzle. Dish N’ Dazzle is a public charity event where the funds raised are used to support individuals in the hospitality industry that are coping with a financial crisis arising from a medical condition or injury. The Aussie twist are all wines for this event are from Australia. Featuring 30 producers from Australia pouring more than 110 wines, 13 restaurants & chefs, 6 bartenders pouring Aussie-themed cocktails, Dish ‘n Dazzle returns for its 7th year to the Vancouver Convention Centre. All proceeds support the BC Hospitality Foundation, a charity that supports workers in the hospitality industry. 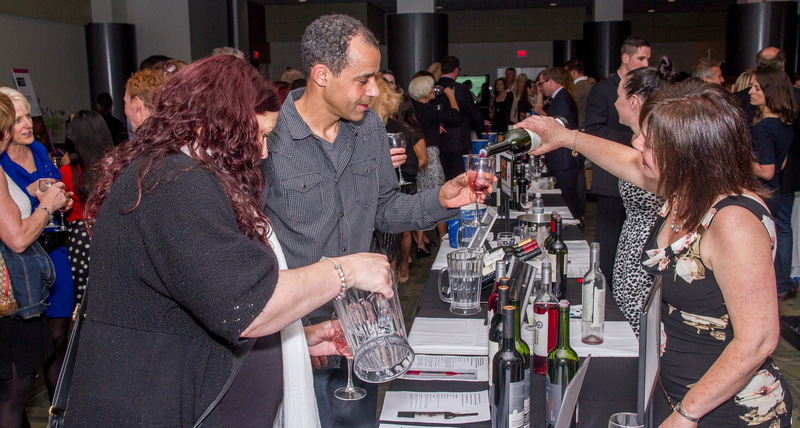 The 7th Annual Dish ‘n Dazzle is the first time to feature Wine Australia. Live music, a silent auction and a grand raffle prize of two tickets to Brisbane courtesy of Air Canada’s new Boeing 787 ‘Dreamliner’ – now including four nights accommodation on Fraser Island (Kingfisher Bay Resort), two nights in Brisbane plus airport transfers courtesy of Tourism and Events Queensland – round out this exciting evening. There will be a wide range of wines, both red and white to try at Dish N’ Dazzle. I received a sample of white wines from Wine Australia so that I could whet your appetite. With the summer patio season upcoming, why not find out about some white Australian wines you may want to enjoy? 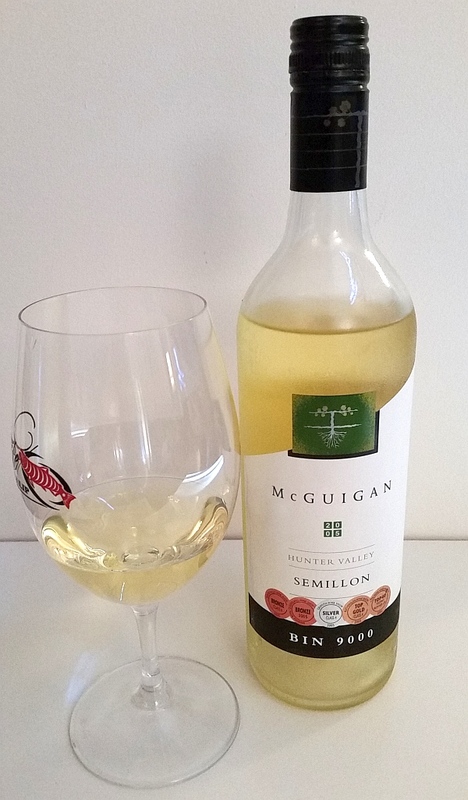 Semillon is a white grape you may not have heard of before, but it is a classic in the Hunter Valley region of Australia. The grape comes from the Bordeaux region in France, where it is blended with Sauvignon Blanc to make White Bordeaux blends. Semillon has lower acidity than Sauvignon Blanc and has a waxy texture to it. Flavours and aromas can range from apples, citrus (lemon or lime), flowers, and lanolin. A key characteristic of this grape is its ability to age for many years, where it takes on a woody character, even if the wine was 100% stainless steel fermented and aged before bottling. 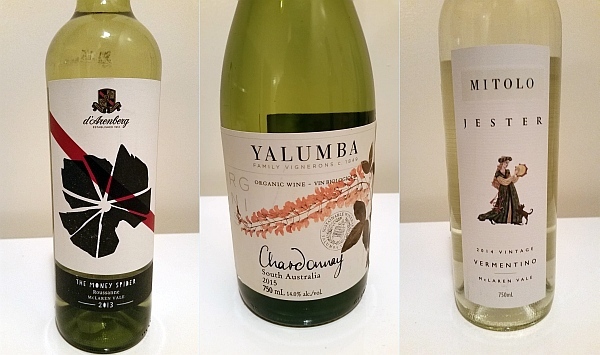 Below are 3 Australian Semillons; 2 are from the classic Hunter Valley, and the other is from the Barossa Valley, and covers an age range of 2014, 2008, and 2005, to give you an idea what you could expect from a bottle of Semillon as it ages. For Dish N’ Dazzle you would taste 2014 or 2015 Semillons, but I have shown you the older vintages as well to see how these wines age. As these wines age, they get deeper in colour. Can you see these 3 wines changing from pale straw, to light straw, to medium plus straw colour in the picture below? Semillon is a wine that I would recommend to drink along with food. It is not as fruit forward as an aromatic white, but it makes up for it with its texture. 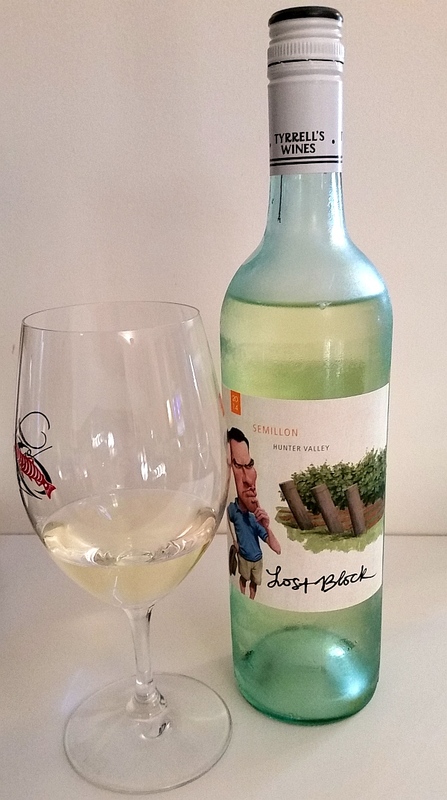 Peter Lehmann Margaret Semillon Barossa 2008 – This wine is different from the other two wines because the grapes are sourced from the Barossa Valley, which is near the middle south coast of Australia, as compared to the Hunter Valley which is north of Sydney on the east coast. The average temperature of the Barossa is higher than that of the Hunter Valley and this temperature difference does show up in the wine I think as you get a much more toasted oak/petrol aroma and flavour compared to the other 2 wines, and was also the most aromatic. There is of course more to Australian white wines than Semillon. I will follow up this article with 3 other white wines you may sample at Dish N’ Dazzle: a Roussanne, a Chardonnay, and a Vermentino! Buy Tickets Tickets are available now for $85.00 each* or $79.00 each* for groups of six (6) or more. *plus handling. Buy tickets at this link. ← Welcome to the Black Market.